The tuberous root produces an erect, slightly hairy square stem with a citruslike fragrance. The two-lipped scarlet flowers rest on a collar of red-tinged bracts with solitary terminal heads. The dark green leaves are 3 to 6 inches long, opposite, and ovate with serrated margins. The fruit is comprised of four nutlets resembling seeds. 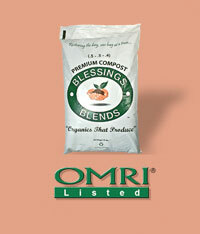 Always apply Blessings Blends OMRI-Listed Premium Compost (.5-.5-.4)for best results. In the late fall, cut plants back to within several inches of the ground. For a bushier shrub, pinch the tips of the stems when new growth appears each spring. Bee balm spreads but not as aggressively as other members of the mint family. 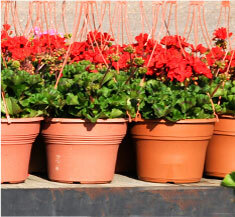 Every 3 or 4 years, dig up and divide the plants. Discard the old center section and replant the outer roots and shoots.